Why is Nutanix Leading the way in Gartner's Magic Quadrant for Hyperconverged Infrastructure? What does it really mean to choose your own hardware, hypervisor, and cloud? And is it too good to be true? 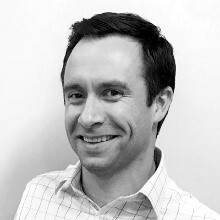 Rob has been working in the technology industry as a Solutions Engineer for over 13 years. He specializes in enterprise architectures, with a focus on converged infrastructures, storage, and public and private cloud solutions. As Vista's Director of Technology Services, Rob leads a team of experienced PreSales and Delivery Engineers. Anyone who completes our brief ten question post-webinar survey will be entered to win one of three prizes! 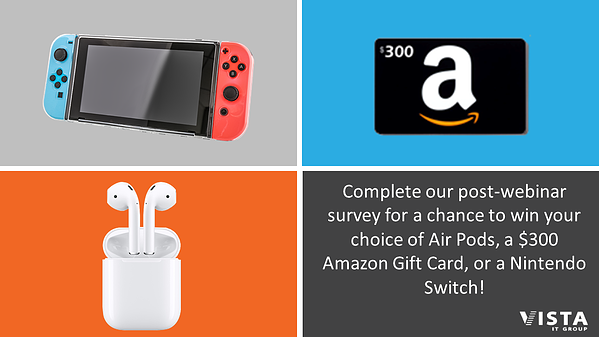 The lucky winner will get to choose between a $300 Amazon gift card, Nintendo Switch, or Apple Air Pods!